Cypress Golf Club Hole 1 (right): Intriguing opening golf hole that made a 90-degree dogleg left about 100 yards from the green. The shot hit too short had to negotiate two trees on the left side (the first about 100 yards out, and the second just left of the green). The drive pushed right or hit too far would run into the first of dozens of manufactured hills throughout the course leaving extremely uneven lies and near impossible pars. Cypress Golf Club Hole 3: Well designed golf hole with a lake short right of the green. Just over the lake was a large bunker that fronted the entire green. Back-left were the manufactured hills towering 15 feet high. Missing this green anywhere but short left equaled bogey, or worse. To make matters worse, there was a tier running through the middle of the green and any back right pin placement was almost inaccessible. Cypress Golf Club Hole 9 (right): Slight dogleg right with a pesky palm tree just left of the fairway that would nab a pulled tee shot. The length of the hole, and the knowledge of the difficult approach shot, made driver an attractive option. However, this brought the lake that started 250 yards out on the right into play. The approach was still plagued by this lake 1 yard right of the tiered green with no respite for those who pushed the second shot. Hills left of the green made for a less than inviting bail out area. Cypress Golf Club Hole 11: One of the best par three holes ever. The tee shot, if hit straight to any pin placement other than a front-left was over water 100% of the way. Short or right equaled water with no questions asked. If you bailed out left, there were manufactured hills aplenty to make par nearly impossible. There was also a fountain behind the green that would often catch the over-zealous shot. Cypress Golf Club Hole 13: Cool driving hole with water that must be crossed and all the way down the left. On the approach, the water came back into play just left of the green. The decision that made the hole interesting is that the drive, if played conservatively to the right, made the approach angled more towards the creek by the green. The gutsy drive made the approach much easier, but brought finding the water hazard off the tee a real possibility. 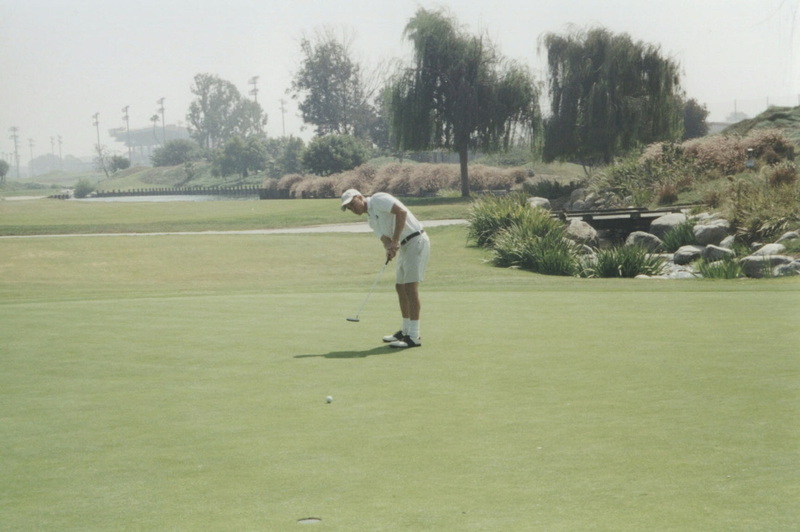 The green was also very tough to putt. Cypress Golf Club Hole 16: Big rounded dog leg right around a lake. The iron tee shot still only left a short iron to the green but ran the risk of catching the water if pushed. 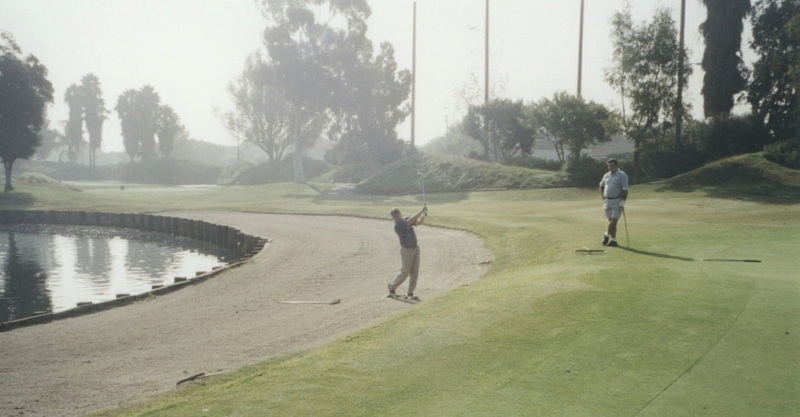 The driver, if brought out and hit too far left would catch the series of sand traps and hills to the left of the fairway (or the Los Alamitos race track if really pulled). Either way, the approach shot had to deal with water immediately right of the green. Cypress Golf Club Hole 18: One of the most daunting and wonderful closing holes in golf. A 220-yard carry over water was required to reach a fairway that was just a collecting ground for the next, nightmare approach to end the round. Even if the perfect drive was hit, it still required a perfect mid iron at best to tame this beast that had water running down the entire length of the approach, with no room for error. A fair bail out area was provided, however, which was the real strength of the hole, because if the perfect shots required were not hit, the player still could get up and down for a heroic ending.